Supplied with fixing screws. 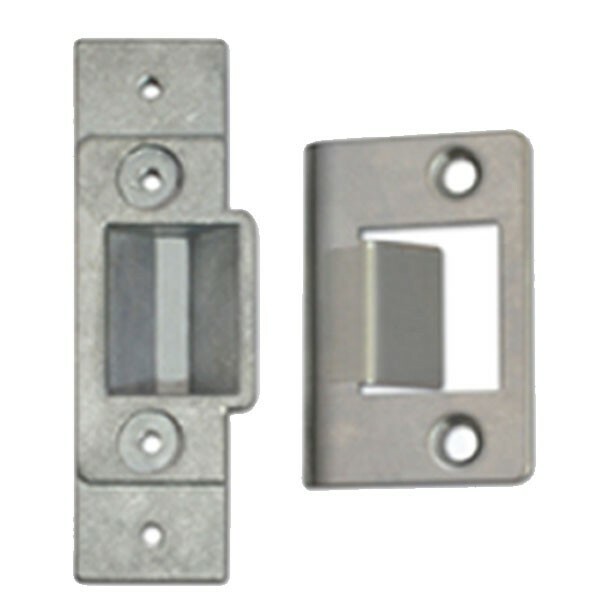 Designed for use with 4910 series deadlatches. This strike is intended for new installations.